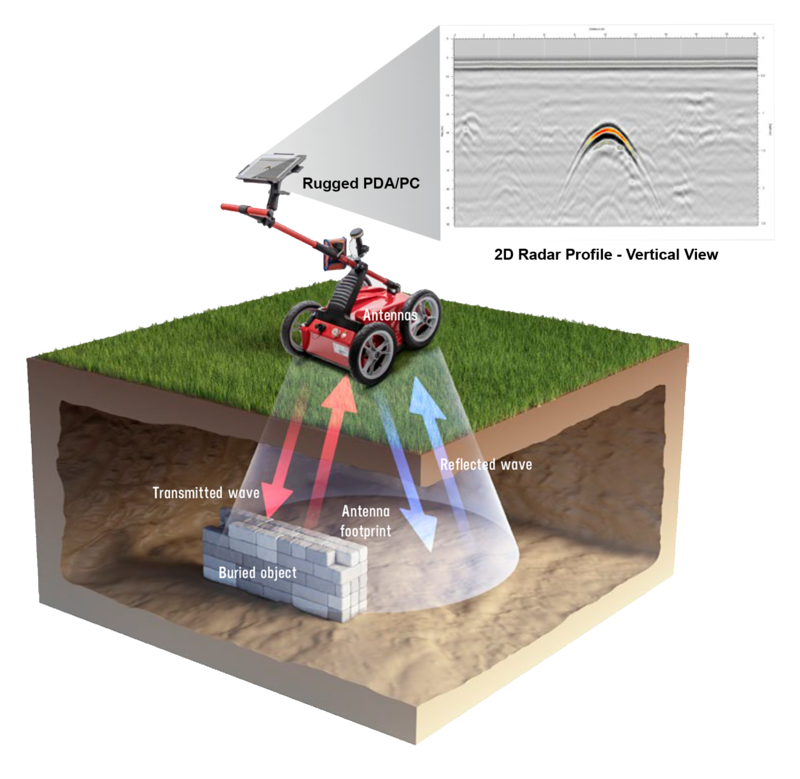 The Deep Look™ wireless GPR (manufactured by Radar Team) collects data from hundreds of thousands of pulse reflections each second to help researchers identify objects below ground. It works in a multi-frequency band from 50 to 1400 MHz, thus replacing several antennas with different frequencies used by other and older GPR systems. The Pagini DPM30 penetrometer allows continuous dynamic penetrometric tests to be performed. The fact that it is exceptionally small means it can be used on sites that are inaccessible to normal machines. 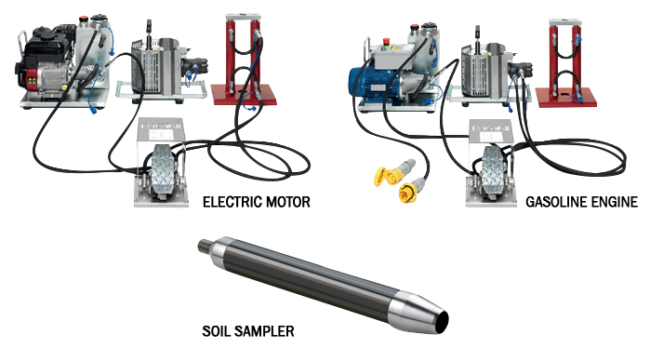 A hydraulic extractor is used to extract rods, casing tubes, and samplers.